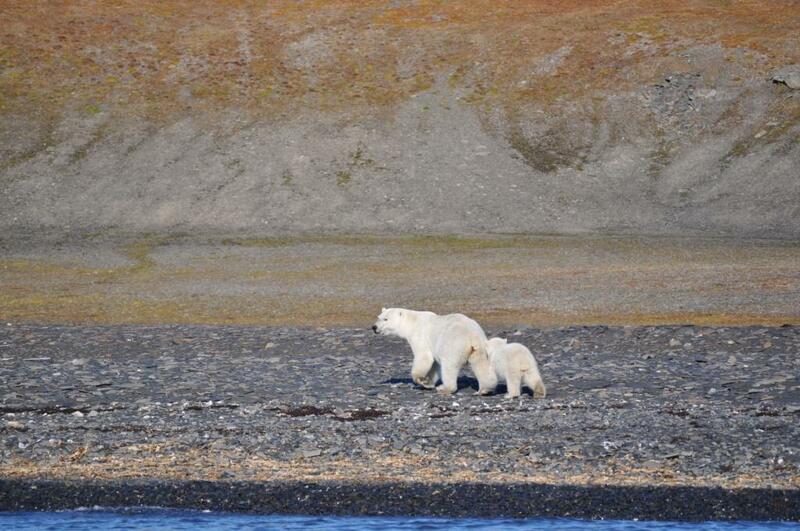 Home Response A 'Mass Invasion' Of Polar Bears Is Terrorizing An Island Town. Climate Change Is To Blame. Novaya Zemlya is a Russian archipelago stretching into the Arctic Ocean. It once played host to Soviet nuclear tests, including the largest man-made explosion, when the "king of bombs" detonated in 1961, releasing 50 megatons of power and deepening an arms race that threatened to turn the Cold War hot. So far, Russia's environmental watchdog has withheld licenses for shooting the troublesome animals. Instead, a team of experts is being sent to the remote island community to try to protect residents. "However, provided that those measures do not help solve the situation, a cull will remain the only and forced answer," TASS reported, suggesting that killing the animals as a means of population control is possible. But a garbage-based diet won't properly nourish polar bears, whose energy demands require "high-fat prey," as detailed in a 2014 paper in the journal Science. The bears are highly vulnerable to climate change, the authors found, because of their dependence on icy conditions in acquiring their preferred fare, seals, as well as other animals that sustain them, including fish and waterfowl. When a polar bear's carnivorous needs aren't met, or when it has to travel farther and faster to sate itself, its body condition suffers. A female's reproductive capacities may falter. This article was written by Isaac Stanley-Becker from The Washington Post and was legally licensed through the NewsCred publisher network. Please direct all licensing questions to legal@newscred.com.